Feeling the hockey fever the other day, I stopped by my local retailer and picked up a blaster of 2011-2012 Upper Deck Victory. 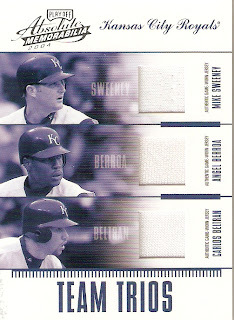 This set is basically done as the inexpensive opening issue to the new season, similar to what Topps does with Opening Day. 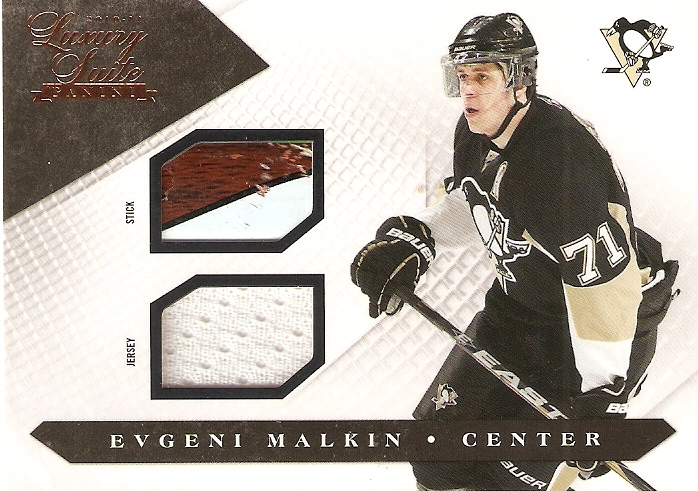 I got a few good cards, like a Sidney Crosby checklist card and a couple of Evgeni Malkin inserts, but my big one almost got by me. 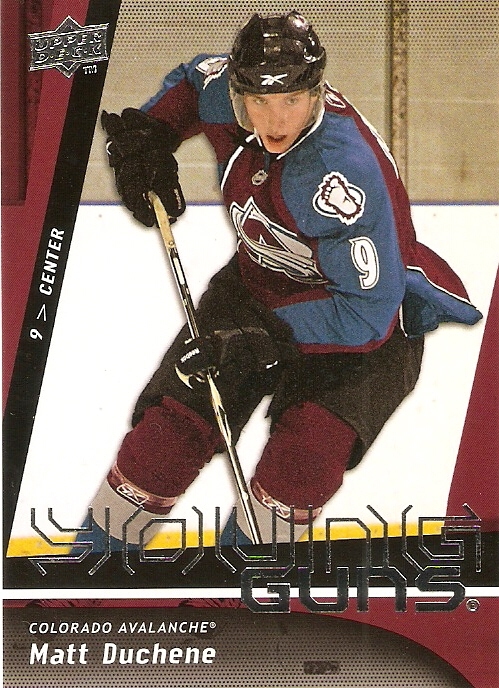 I noticed that one of the rookie cards, Flyers defenseman Erik Gustafsson, was a little bit different than the rest. 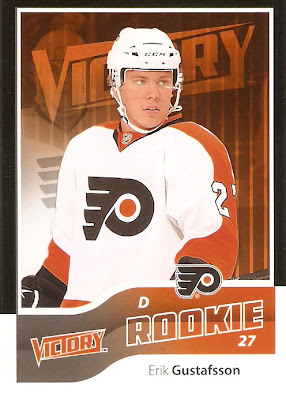 As it turns out, I pulled one of the Victory Black parallels. The odds? Only 1:1440 packs. Not bad for 10 bucks, eh? I had some credit burning a hole in my Paypal account, so I had to do something about it. Here's what I was able to pick up from a seller who I have bought many items from in the past. The grand total ended up being $29.77 plus $5 shipping. 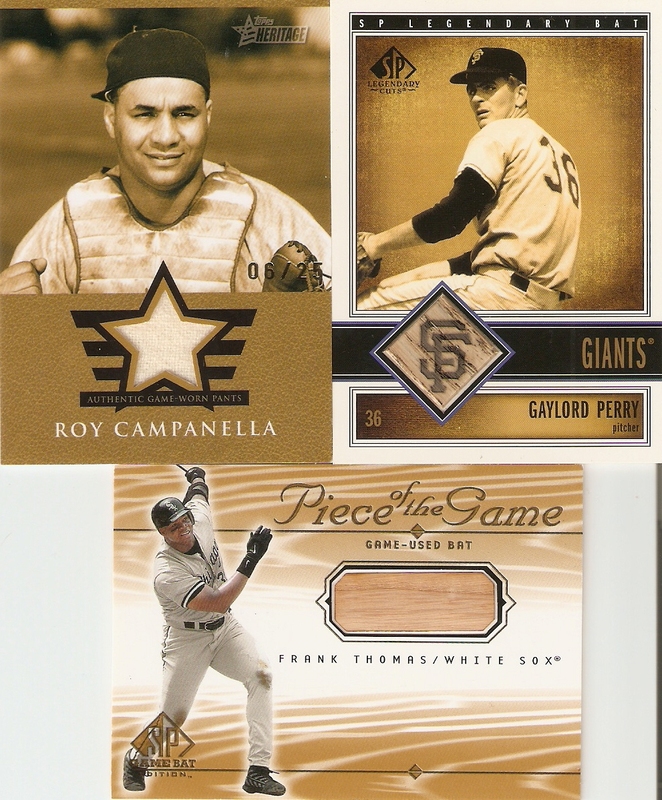 I picked up relic cards of two hall of famers and one future hall of famer. 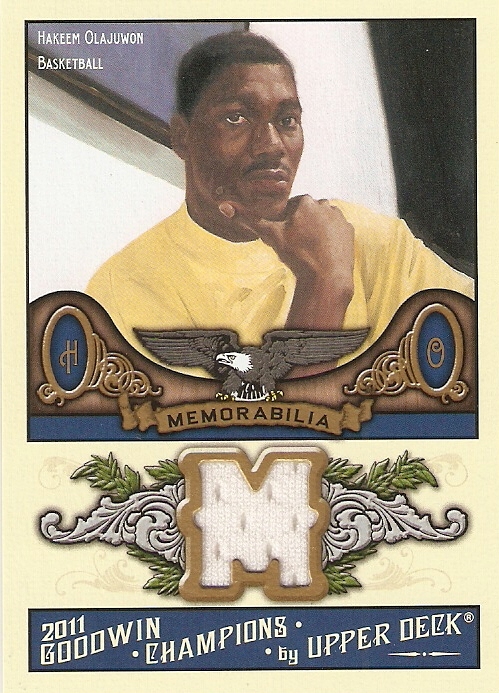 The Campanella was the most expensive card of the lot, but a steal for the $4.03 winning bid. I didn't realize this at the time, but it's serial numbered 6/25. Very cool. 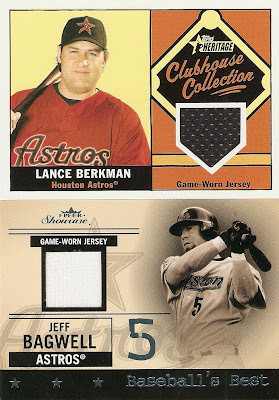 I picked up two Astros relics to possibly trade to Sam at The Daily Dimwit. And even if he doesn't want them, I'd be perfectly happy keeping them in my own collection. The Hollywood relic is a swatch from Bruce Almighty. 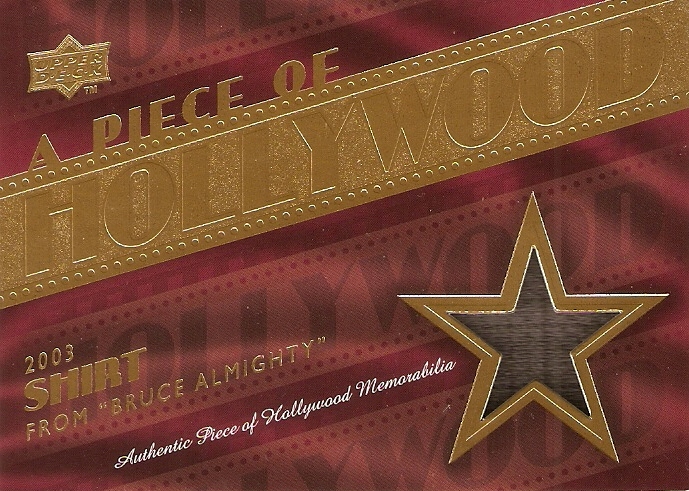 The back of the card informs the holder that a person named "Jim." wore the shirt. We all know who it is, but it's still funny to see Upper Deck work around those pesky licensing restrictions. A few Cubs relics are always good, especially at a buck a pop. I like Ramirez, and while I don't care either way for Daryle Ward, those Turkey Red relics look SWEET! The Jeter refractor and Butera auto have all of the wonderful curviness we have grown to love, but still, they're nice looking cards. 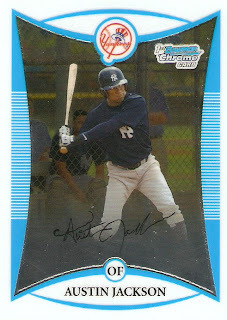 The Thome was actually the second most expensive card in the lot, because I (an apparently, the 1 or 2 people I was bidding against) thought it was his rookie. Actually, his official rookie came out a year earlier, but really, does 1991 Bowman count anyway? 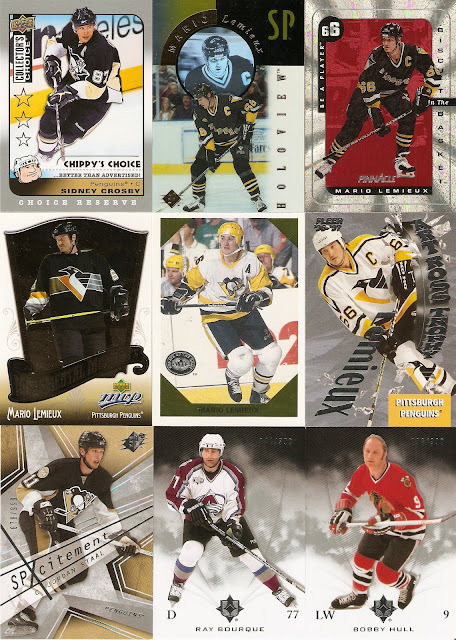 I also got a few hockey singles for my player collections, including a Crosby and 5 Lemieuxs. This is what I love about ebay. 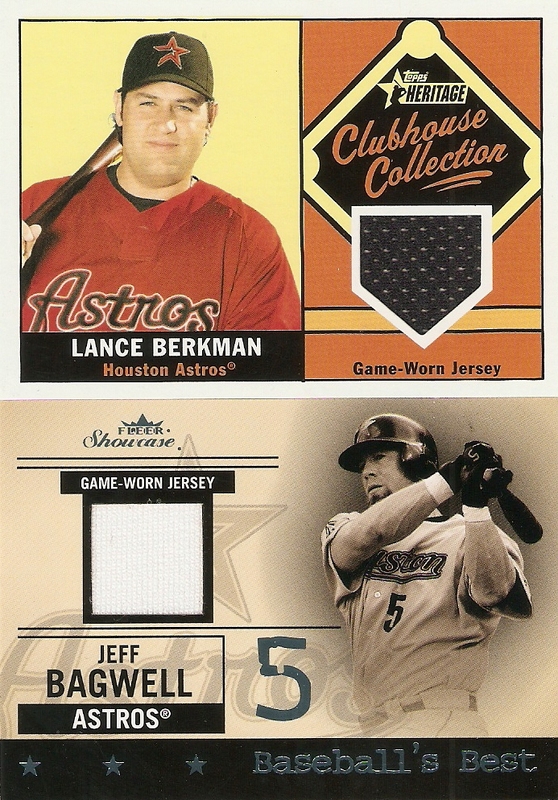 I live in Houston, Texas, where I would have never SEEN any of these cards otherwise. Any of these cards (except for the Campanella and the hockey) are up for trade, so hit me up if you're interested. If anyone's interested in those teams, head over to The Daily Dimwit and get yourself signed up! 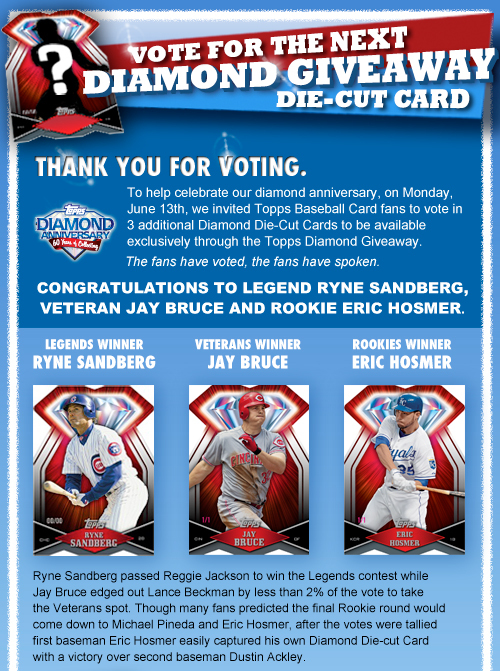 A couple of months ago, Topps as letting people vote on their Facebook page for three new diamond die cut cards. 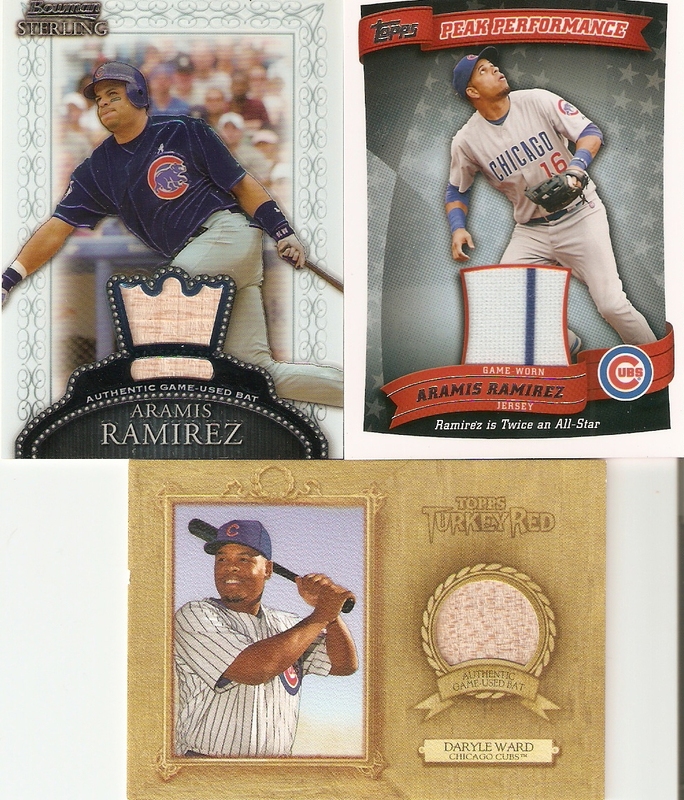 The winners were Eric Hosmer (rookies), Jay Bruce (current players), and Ryne Sandberg (retired players). 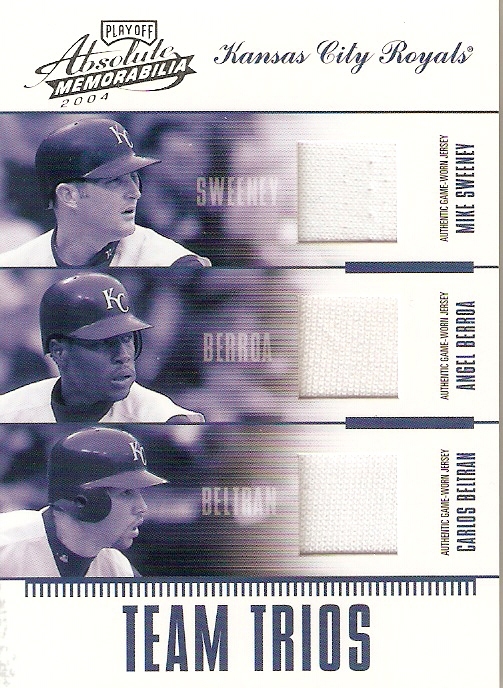 Now Sandberg, bein my favorite baseball player of all time, got me really excited, but still, it does not appear as though any of these cards have been unlocked. I have posted a question abou i on the Topps Facebook page and sent a message to Topps Support on Twitter, but have not gotten a response. So I ask all of you, does anyone have any idea when these will be available? I'm tring to close out my account and get my cards sent to me, but I want to wait until I get everything together so I only have to pay one shipping fee. It has occurred to me recently that not only do I have WAY too many cards, but that I really need to do something about it. The original plan was to sell a ton of them on ebay and use all of that Paypal to buy a small number of cards that I REALLY want. 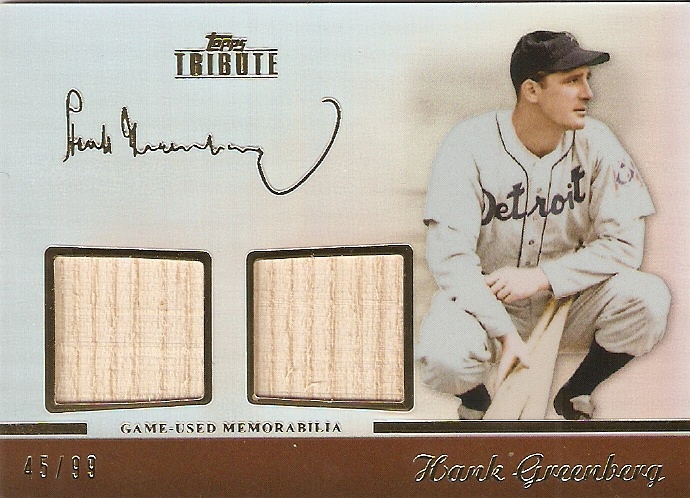 That part of the experiment has been fun, but I'm still left with six 5,000 count boxes full of baseball cards. I'm sure there are others out there who have dealt with a similar task, so for those of you who have, how have you gone about it? How did you decided what to keep and what to get rid of? Did you get anything in return, or did you just give them away? Thanks for the input, guys. Recently, I've been doing quite a bit of ebay trading. What this entails, basically, is selling cards on ebay and then using the Paypal funds to purchase new cards. It's been a lot of fun and I've really managed to strengthen my hockey collection, and as you saw in my last post, pick up some SICK relic and auto cards. 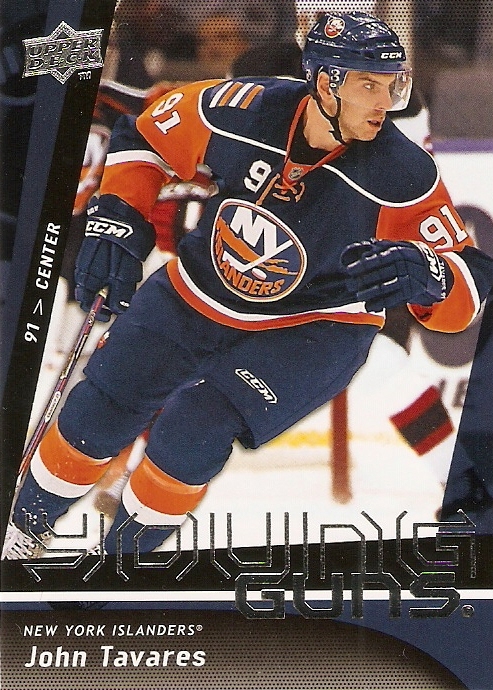 Anyway, I have quite a few cards up for sale on the online auction block, so if you're interested, go check them out here. Well, I finally did it. 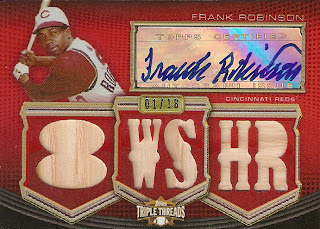 I finally got rid of that pesky Frank Robinson/Mike Stanton dual auto relic card that I pulled from Topps Heritage this year. 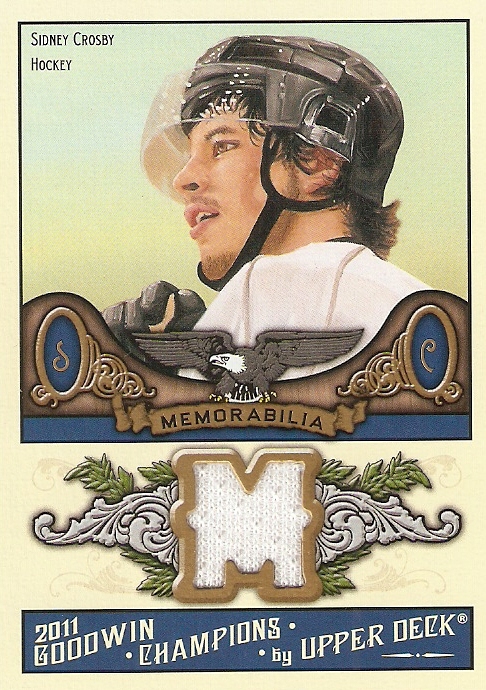 Well, after seven days on the auction block, the card closed out at $250.50. 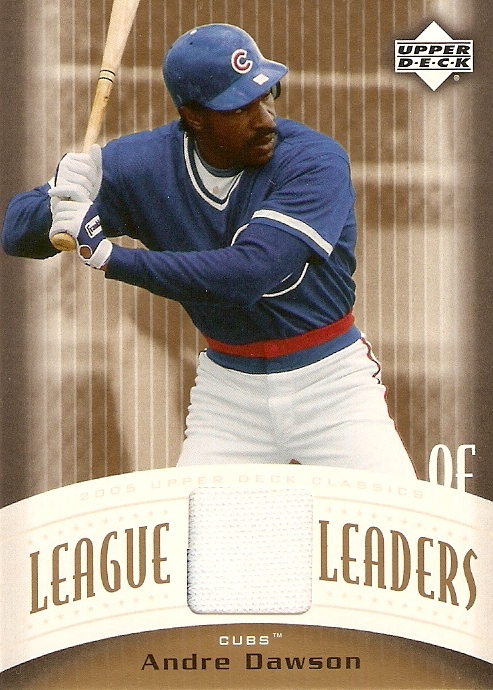 Now, of course, ebay will take their piece of the pie, as will Paypal, but still, there's quite a lot that I can turn the remainder into........including this card. A triple bat relic card from 2010 Topps Triple Threads. Cost me 30 bucks. 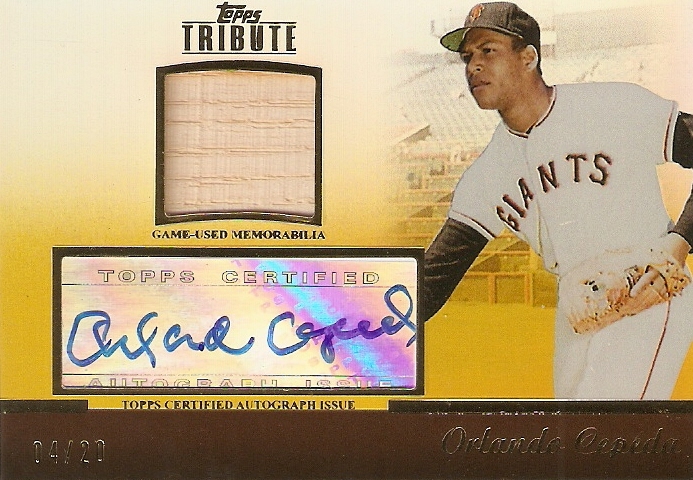 Now, yes, it's a sticker auto instead of on-card, and yes, it doesn't contain an on-card auto and four-color patch of one of baseball's hottest young players, but I still have an autographed relic card of the same baseball hall-of-famer, with a lot of Paypal to spare. The bids were starting at $9.99 for the Greenberg and Cepeda, so I figured I'd put one down for each, just to see what would happen, and sure enough, I ended up the only bidder. 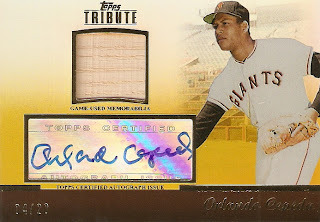 Don't get me wrong, I was THRILLED to get these cards as cheaply as I did, but I shouldn't be able to buy a, Orlando Cepeda autographed ANYTHING for 10 bucks, let alone a relic card. 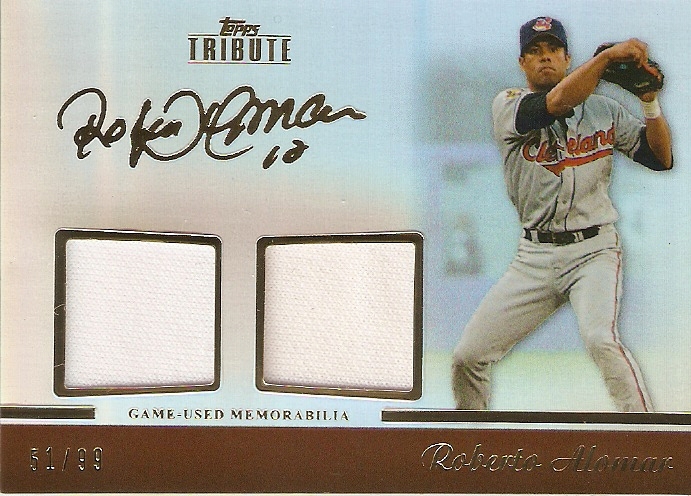 Even though Alomar played recently, he's still a hall-of-famer, and all three of these are just FANTASTIC cards. Be sure to check out this really cool contest over at Cheap Card Collecting. There are tons of great prizes available, so head over there and see what he's got! While of course, I LOVE this hobby I have spent so much time and money on, there are a few things that bug me. One of those things is when companies don't seem to make an effort, especially with their hits. Maybe it's a time thing, maybe it's a cost thing, but when I get a relic card that has the swatch off-centered, or a pin stripe just barely peeking from the side, I think that such a potentially great looking card just simply looks mediocre. Here are a few examples from my own collection. The worst offender. A JUST BARELY there pinstripe. If you look closely, you can see a slight amount of blue peeking out of the left hand side. 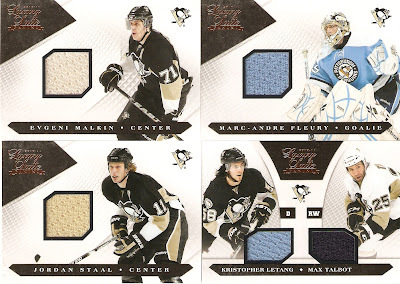 At least with Luxury Suite, Panini, it seems, has really made a conscious effort to put a good swatch in every card. Even with a slightly skewed Artem Ansimov swatch, when your track record shows an effort, I can let a little bit slide. Here's a few more. 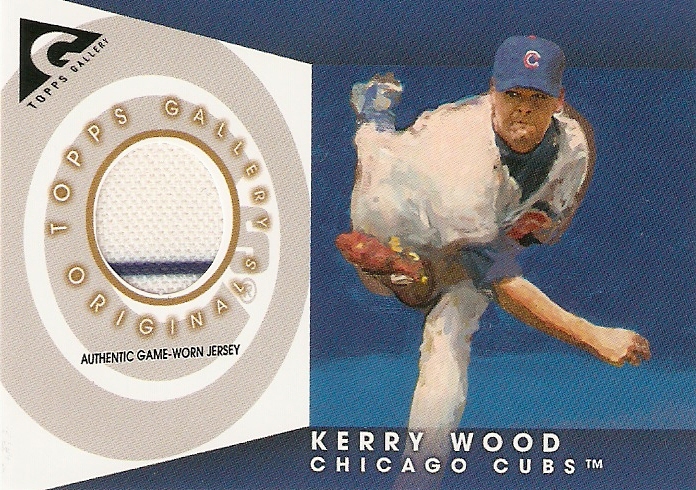 The Cool thing with the seam cards is that the material is actually bulging out of the card and they seemed to really center the thickness of the swatch right in the middle. Not only does it look better, but it prevents it from tearing the corner of the die-cut portion. 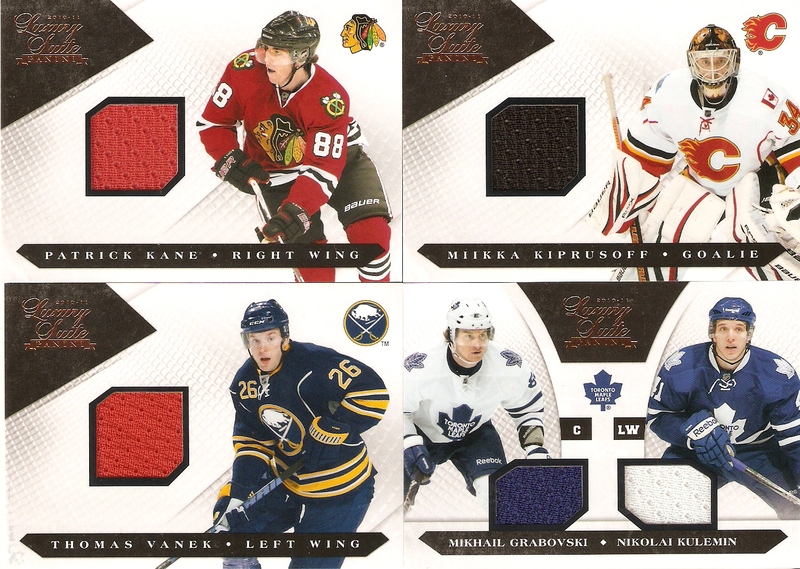 Again, not perfect, but when the majority of your cards look as pretty as these do, I can forgive the Evander Kane being slightly skewed and off-center. I'm not asking that you be perfect, I'm just asking that you make an effort. Oh, and here's some more, for no other reason than for me to brag about the cool Luxury Suite cards that I have. You know, I didn't realize it until I scanned it, but the Mike Smith stick swatch has a few puck marks on it, which is REALLY cool, and how could you not love that damage on the Malkin. AWESOME cards. Head over to Jaybarkerfan's Junk for a really cool contest/game. He'sdoing a "draft party" of ten rounds with prizes ranging from baseball cards, to football cards, to a wacky round at the end. So go check him out and good luck! Well, I know it's been a while since my last post, but I've been a little busy. I just began my new job a couple of weeks ago, so my time has been pretty tight. Of course, I use that as an excuse, but really, I've just been lazy. I have, however, been pretty active on Ebay. 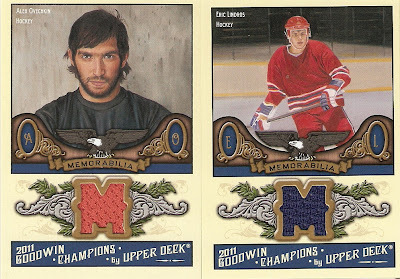 After selling a few cards and building up some Paypal, I picked up some REALLY cool cards, including the following 10 relics from 2011 Goodwin Champions. Now, while these are really cool-looking cards, of course, the key for this group, was combined shipping and the time of day. Shipping charges are a necessary evil for Ebay sellers. They have to charge an extra 2-3 bucks for an item, which can really hurt sales, but when you can combine a few different items and the dealer combines shipping, it could average out to just and extra 30-40 cents per card. Being a hockey fan living in Houston, I just consider that a kind of "import tax" if you will. The biggest factor that gave me such a good deal, though, was the timing. After putting some items of my own up on Ebay, I discovered that the best way to increase your prices was to have them end in the evening on a weekday, when people are home from work, and most likely, not going out. These 10 cards ended at around 1:00 PM CST. Most people were at work. I was not. Anyway, here are the goods. I'll admit, I'm not the biggest soccer fan, but for the price I got these for, why not? Landon Donovan is a soccer player I've heard of, which must mean he's pretty good, and Dwayne De Rosario won the MLS Cup with the Houston Dynamo, and the orange swatch is CLEARLY from the jersey of my local team. Speaking of Houston, I also picked up a relic card of NBA hall-of-famer Hakeem Olajuwon. 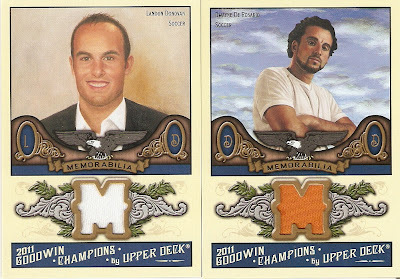 There's also relic cards of current NHL superstar Alexander Ovechkin and former NHL superstar Eric Lindros. Here are the hockey hall-of-famers: Ray Bourque, Mark Messier, Cam Neely, and Patrick Roy. 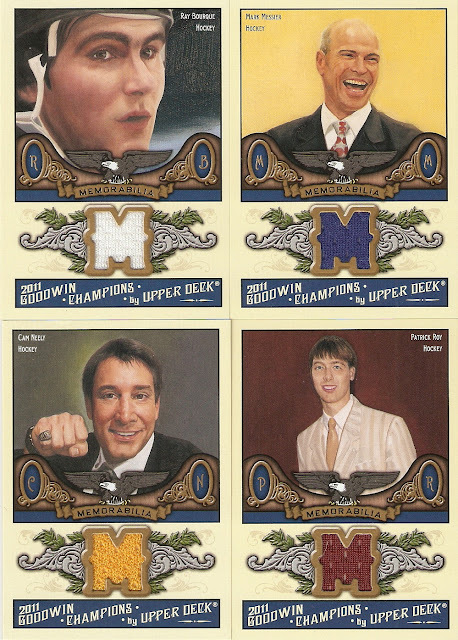 Is it just me, or does Roy look like 30 Rock's Jack McBrayer? 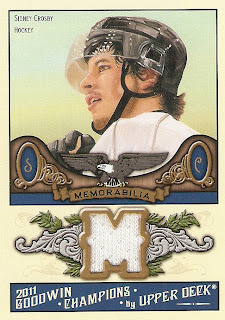 And, of course, Sidney Crosby. The card the brought me to all the rest. 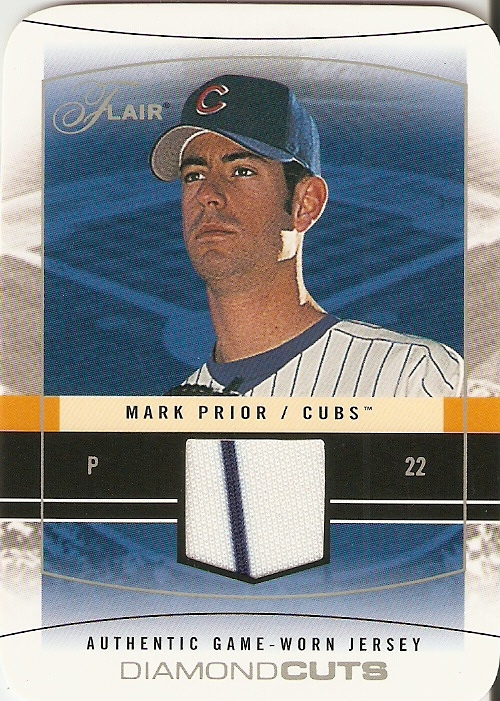 And at $4.25, by far, the most expensive card of the lot. The total price ended up being $15.07, plus $4 shipping. 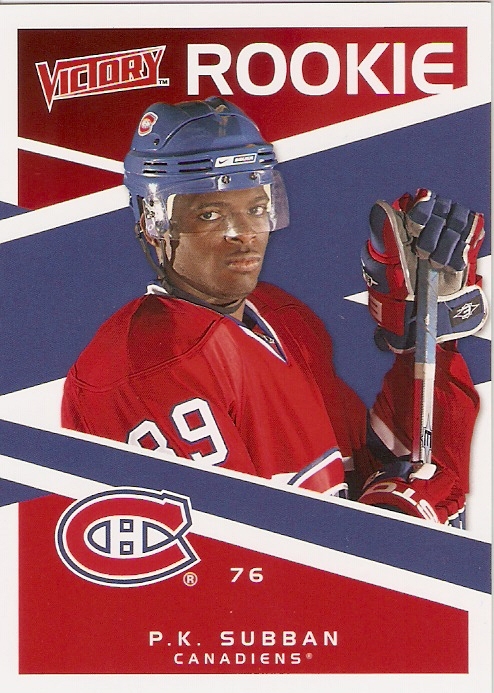 10 relic cards for 19 bucks? Not bad at all. Hey everybody. 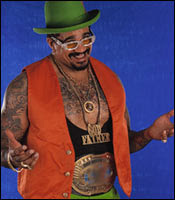 Go check out a contest over at The Daily Dimwit. 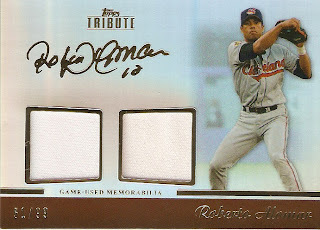 For a simple advertisement and a comment, you'll be entered to win one of five jersey/auto cards.